While a seahorse is giving birth it can pump out (it literally pumps the babies out of its tummy) up to more than 1500 baby seahorses at a time depending on the species. Just the fact that the males are the ones giving birth is enough to amaze me. Could you imagine what would that be like if that is how we reproduce? Wow. 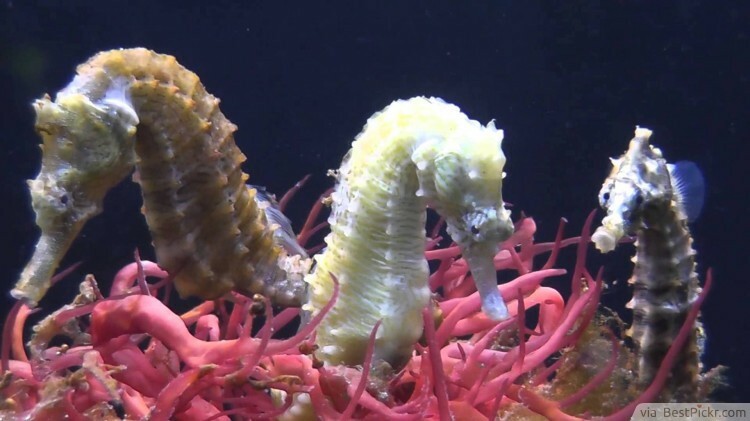 Seahorses live independently from the moment they were born. They feed on small crustaceans especially shrimps at a staggering ten times as mush as the adults! To fend for themselves, they hide and live in areas with dense weed tufts and tall seagrasses.